Parental involvement is often construed as a keystone in a child’s education. Parental involvement is fringed with proper behavior, regular attendance and commendable attitude; being involved, shows your mindfulness about his or her education. Children appreciate the involvement. They are able to perceive immense amount of support the parent shows through their involvement. A child’s academic journey becomes much easier when the parents stay involved. Likewise parents have a clear view of their child’s education. 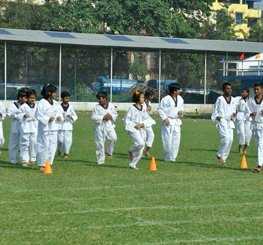 Sudhir Memorial Institute Liluah, a Howrah CBSE School encourages parental involvement to a healthy level. Now the question arrives why get involved? Involvement does not synonymies interference. As a parent, one should realize the value of their involvement in their child’s life. Involvement caters for the social need of a child. Benefit for the parents– Like the child, parents also are not deprived of benefit from getting involved in their child’s life. Here are few added benefits a parent can get through their involvement in their child’s education. 1) Increase your interaction with your child- Interacting with your child is one of greatest concern of parenting. But if one is able to do that then it will definitely be of great aid. Just ask your child how was his/her day? What did he/she learn today? Show them that you can understand their thoughts and feelings make them feel comfortable to talk to you. Once a child perceives that he/she can trust you, then it will be much easier for parents to participate in their educational pursuit in a fun way. 2) Your perception about the school improves- A parent should have a clear perception about the school. When they start interacting with their child, they get to know more about the school, which is a requirement nowadays. They have a good understanding of the teachers and the school curriculum. Benefit for the child– Children tend to attain good scores and be more driven when parents are involved. Parental involvement provides them with the desired attention and praise. Let’s ponder into some aid a child could get through parental involvement. Learns Discipline – Discipline is no longer a factor of worry as long as parental involvement is provided at healthy level. They tends to comprehend organization and instructions properly. Higher level of dedication– A child tends to fill up an empty state with things he/she sees. So if a child views dedication from their parents, they will try to imitate the same. Later that imitation turns into real deal. They become much more engaged with their study. Conclusion requires only one thing to highlight-If you really invest a part of life towards your child’s future, you will not be disappointed. It will bear good results. Have you planned your child’s future? Here I am not relating to any financial policies of yours rather my intention is to draw your attention towards building up your child’s future through proper education. There are numerous schools available in Howrah but is that good school doing well enough for your child’s future? This question becomes the nightmare for the parents who are looking forward to admitting their little ones in Kindergarten. At this age of learning, your little one is like soft clay that can be transformed into a beautiful model through proper shaping. Though many schools in Howrah claim to provide all the facilities that your child may need but does that school suits your baby? Not necessary always that will happen. 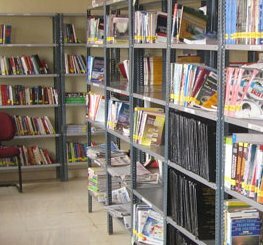 In certain cases, it is been noted that though the schools focus much on the studies they get less bothered with activities and caring for the students. Much less attention is paid to hygiene factors and on the basic needs of the students. Even in the attempt to provide with the best academic career, the schools become strict enough for the students, taking absolutely no care of the babies during the school time. Do you want to put your baby in such a condition? Do you want to hear his cry every morning before going to school? I hope that no parents will want that to happen with their little one. So, here is a suggestion. 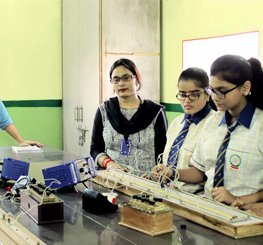 Sudhir Memorial Institute Liluah, being counted as one of the best CBSE affiliated schools in Howrah, cares about the overall development of their students rather than focusing on the academic needs only. With highly qualified and trained teachers, this school teaches the little students of kindergarten with much affection. Using different modern techniques, the learning procedures are made much simpler. Even the teachers engage the students in certain activities that improve the student’s understanding and knowledge of the subject. Smart Class are common nowadays and so does SMIL also comes with the facility. Apart from studies, the school also takes its effort on developing the students through its co-curriculum activities. Stage shows are organized to encourage the students. SMIL sports events are something that attracts the attention of the locality and other schools the most. Apart from the academic and the co-curriculum activities, SMIL focuses on making their students fit. Weekly Yoga classes are also been organized in the same attempt. 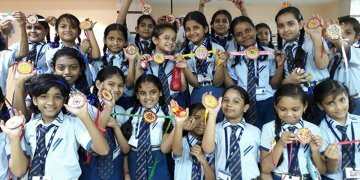 The school takes much care on the hygiene factor and thus believes in a clean and safe green environment. 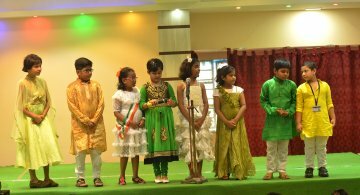 If you are planning to engage your child in the best school in Howrah, then need to take Sudhir Memorial Institute Liluah into account. You can definitely look into their website or if possible, a personal visit is the best way to know about the school. The school also welcomes the visitors (with a purpose) very heartily. I bet your search for the best school in Howrah will end over here.